These days almost everyone has a smartphone, and unless you’ve been living off the grid you probably know what an emoji is. If you don’t, they are those adorable little pictures that pop up in text messages. There are emojis for every emotion known to man. They have emoji animals, emoji clothes, and emojis for quite possibly every hand gesture you can think of as well. From peace signs to crying babies, there are tiny texting pictures for almost everything. As of last month, you can even select from a wide variety of canine emojis too. It had to happen eventually. With millions of dog lovers in the world, it was only a matter of time. Last month, Dogs Trust, formerly the National Canine Defense League, released the first ever dog emoji keyboard. 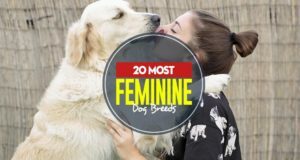 It features 23 of the most popular breeds in the United Kingdom. The emoji keyboard was developed to highlight some of the many types of dogs sitting in Dogs Trust rehoming centers waiting for their forever families. The charity was founded in 1891, and it is the largest dog welfare charity in the United Kingdom. Each year they care for about 16,000 dogs in their nationwide network of 20 rehoming centers. They never euthanize healthy dogs. Dogs Trust also runs neutering campaigns in the areas of the UK with the largest stray dog population. They offer free teaching resources to all schools in the UK, and they employ Education Officers who give thousands of classroom presentations every year. On top of all of this they also advise the government on any matters concerning dog ownership. 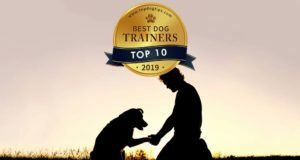 They’ve recently established a charity in Ireland that runs a rehoming center in Dublin, and they assist overseas animal welfare charities by training their staff members in best practice. As if all of that wasn’t enough, Dogs Trust also offers the HOPE project, which gives preventative veterinary care to dogs that belong to homeless people. They run the FREEDOM Project as well, which helps any pet owner fleeing from domestic violence by fostering their animals until they can get a new life started and care for their pets again. 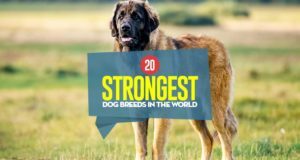 According to the CEO of Dogs Trust, Adrian Burder, the organization is hoping to see even more breeds added to the current list of 23. Each of the featured emojis that are currently available represents the image of an actual dog from one of Dog Trusts’ 20 rehoming centers in the UK and Ireland. Burder says that the emojis are about celebrating canine diversity and the many varieties of dogs that call the U.K. home. This article is about the emoji keyboard that this amazing charity has created, but let’s take a minute to appreciate everything else that Dogs Trust does as well. We need more charities like this in every city around the world. This is the true definition of giving back and helping all canines. They don’t care how long a dog has been in foster care or who the dog’s owner is, they want to help all dogs regardless of their situation. That’s something to commend! Dogs Trust is hoping that the added exposure that this emoji keyboard will bring them through social media will also bring a greater awareness to the need for adoptive families. The emoji keyboard can be downloaded for free on Google Android or Apple iOS. It would be nice to see this organization, or one like it, branch out to the United States. There are many cities in our country that are seeing increased numbers of stray dogs. I think education of the public is the key to stopping any major problem, and I applaud what Dogs Trust is doing. Hopefully the education will pay off and future generations will be interested in becoming adoptive families and helping to control the stray population.